Testimonials | The Law Office of Gary W. Fillingim, L.L.C. My family and I are so grateful for Mr. Fillingim’s service to us. Mr. Fillingim represented me in a difficult injury case that occurred on my job. I was eventually able to go back to work but there were still things that I could not do. Mr. Fillingim hired a vocational expert to review my situation and we able to settle my case shortly after this for almost 3 times what the insurance company’s lawyer had offered me and my family previously . I would hire Mr. Fillingim and his firm again and urge anyone else who suffers any kind of injury to hire him too. We appreciated all of his hard work and we definitely made the right choice! Mr. Fillingim and his office represented my husband who had a serious back injury that prevented him from ever returning to work. The folks at the Fillingim Law Office worked tirelessly for over a year to get my husband’s case ready for trial after he was denied any benefits or recovery. During the trial Mr. Fillingim presented all the evidence necessary for my husband to recover hundreds of thousands of dollars. Mr. Fillingim is very smart, very competitive and represented my husband zealously. I hired Attorney Gary Fillingim to represent me in a personal injury case. I was hurt in a motor vehicle accident when a car slammed into the back of the car that I was riding in. I had to have shoulder surgery shortly after the accident. The insurance company for the other driver refused to fairly compensate me because they said that since I had complained about my shoulder in the past, it was a pre-existing condition that they were not responsible for. Mr. Fillingim filed a lawsuit and did a great job getting my doctor to agree that my surgery was necessary because of the accident. The insurance company finally offered me the compensation that I deserved and we were able to settle the case. If I ever need a personal injury attorney, I will definitely call the Fillingim Law Office. I was injured in an accident with a drunk driver. Attorney Gary Fillingim not only handled my case but monitored the criminal case against the drunk driver. The insurance company for the drunk driver eventually settled my case for a premium over and above my damages for my medical expenses, lost wages, pain and suffering and mental anguish. If I ever need a personal injury lawyer again, I will definitely come back to the Fillingim Law Office and I will refer my friends and family there too. Attorney Gary Fillingim represented me in a case against the City of Frisco, Alabama. I live in Monroe County, Alabama. Before I found out about the Fillingim Law Office and Attorney Gary Fillingim, I contacted 7 or 8 other lawyers about my case. They all turned me down because they said proving liability was too difficult. Then a friend of mine who had been injured in an elevator accident told me about Gary Fillingim. Mr. Fillingim not only met with me immediately, he took my case and filed a lawsuit after it was clear the insurance company was not going to cooperate. Not only did we get my case resolved to my satisfaction and for way more money than I thought, I feel like I made a new friend. I will only use Gary Fillingim and the Fillingim Law Office if I ever need an injury lawyer in the future. I hired the Fillingim Law Firm to represent me and my company in a business dispute. I own an irrigation and lighting company. My company did repair work on the irrigation system at an apartment complex. The work needed to be performed quickly before the end of the calendar year. When we finished the work, the manager refused to pay. Attorney Gary Fillingim initially attempted to resolve the case with the lawyers for the apartment complex. However, they did not make a reasonable offer and we filed suit and filed a lien against the property. Gary pushed the case hard and ultimately got the apartment complex to pay the contract amount plus all of the interest that had accumulated. Gary put a tremendous amount of time into resolving my case and he and his office kept me informed all along the way. Everyone at the Fillingim Law Office was very competent, efficient and very easy to work with. I highly recommend the Fillingim Law Office and will call them again if I ever need a lawyer for me or my business. Mr. Fillingim and the entire staff at Fillingim Law Office are outstanding! Everyone is so kind, compassionate and professional. They handled my minor daughter’s personal injury case promptly and the amount of money they recovered for her far exceeded my expectations. When the insurance company for the business where my daughter was hurt refused to continue negotiations, Mr. Fillingim advised that we file a lawsuit. Shortly after filing, the insurance company resumed negotiations and the case was settled. If we ever need the services of a personal injury law firm again, we will definitely and immediately call the Fillingim Law Office! Attorney Gary Fillingim and his staff are the best at what they do! I hired Mr. Fillingim and his law firm to represent me and my husband after I seriously injured my back at work when the cleaning company mopped the floor to my office without my knowledge and without placing any warning signs. I was unable to return to work after having back surgery. The insurance company and its lawyers only offered me a small sum to settle my case and Mr. Fillingim advised me not to settle. We went to trial and we were awarded and a substantial verdict. All along the way Mr. Fillingim and his entire staff were so helpful. My husband has also hired Mr. Fillingim to handle his on the job injury case and we will definitely use him again and refer our friends and family to Mr. Fillingim. 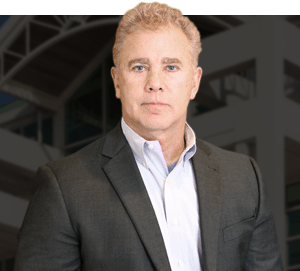 Your search for a personal injury lawyer is over — Attorney Gary Fillingim is an excellent lawyer! I am a Fireman and Mr. Fillingim represented me when I was seriously injured in a car accident with another driver who not only was drinking alcohol but also had no insurance. I was unable to work as a Fireman for several months and I was not able to work at my other part-time jobs either. My family and I put our trust in the Law Office of Gary Fillingim and Mr. Fillingim and his staff were tremendous. They always kept me up to date on my case and they were always willing to answer any questions that I had. We pursued a recovery against my uninsured motorist carrier insurance company and we were able to settle my case for a substantial sum of money. I was very pleased and happy with the work of Attorney Gary Fillingim while representing me in my personal injury case. Mr. Fillingim was relentless in pursuing my case against the lawyers for the insurance company. Each time they failed to do what they were supposed to do, Mr. Fillingim, through his hard work, forced them to do what was right. Mr. Fillingim treated me with the utmost respect and was always available when I needed to discuss my case with him. He also made himself available to discuss my case with my wife so she could understand everything that was going on. Mr. Fillingim was able to get my case settled for a significant amount of money. Mr. Fillingim represented for almost two years and I was very pleased with not only the result after a trial but also with the amount of time and effort Mr. Fillingim and his law firm put into my case at each step along the way. I would recommend Attorney Gary Fillingim to anyone who is looking for an intelligent and very determined lawyer to assist them in their legal matter. Gary Filliingim is a great lawyer! I highly recommend Gary Fillingim and the Law Office of Gary Fillingim to handle your personal injury case. I was injured in a serious accident which required me to have two back surgeries. Mr. Fillingim and his staff took my case and guided me through the entire process. The insurance company for the liable party only offered me a small sum to settle at first. However, after Mr. Fillingim advised me not to settle, he filed a lawsuit and worked hard on my case until the insurance company agreed to pay me very close to the insurance policy limits of $500,000. I chose Attorney Gary Fillingim to represent me in my injury case after a friend referred me to him. From the very first time I met with Mr. Fillingim and his staff, I was comfortable and confident that they will always work hard to bring my case to a satisfactory resolution. They have already went above and beyond the call of duty in pursuit of my injury case and although it is not yet concluded, I am confident that Mr. Gary Fillingim will obtain a result that is my best interests. I highly recommend that anyone should call Attorney Gary Fillingim if they or their loved one suffer an injury. Attorney Gary Fillingim is a very intelligent and very hardworking lawyer. He pours everything into his work and does an excellent job and obtains outstanding results. He has represented me in several legal matters and has always done a great job and obtained a fantastic result. Call Gary Fillingim if you need a personal injury lawyer! Call Attorney Gary Fillingim if you are injured in an accident. Mr. Fillingim represented me after I was injured on my job as a truck driver. He was very easy to work with and was always available to discuss my case with me and answer my questions. He got me the money I deserved from the insurance company. He has continued to be my friend even after my case was concluded. I suffered a back injury on my job. I called Attorney Gary Fillingim and he came to my home and met with me. I was very apprehensive and concerned because I had never been through anything like this before. I was not able to work and was not sure of all of my options. After agreeing to take my case, Mr. Fillingim and his law office worked tirelessly to get my case settled for a significant sum of money. Along the way, Mr. Fillingim always made himself available to discuss my case, answer my questions and advise me of all of my options. Mr. Fillingim is definitely the best lawyer to call if you’re injured in an accident. Great Lawyer and a great person! I was very pleased with Mr. Fillingim’s legal representation in my workers compensation case. I injured my shoulder while working in the seafood industry. Mr. Fillingim filed my case and vigorously represented me right to the very end. I was able to settle my case for much more money than the insurance company was willing to pay me in the beginning. I highly recommend Attorney Gary Fillingim and the Law Office of Gary Fillingim if you or a loved one is ever injured in any kind of accident. I was referred to Attorney Gary Fillingim by a friend who had been represented by Mr. Fillingim in an elevator accident case. While serving as a police officer with the Town of Pine Hill, Alabama, I was shot twice when responding to a domestic disturbance. When I first met with Mr. Fillingim I never imagined that my case would turn out so well. Mr. Fillingim and his staff were personable and treated me with the utmost respect. They also did a great job of answering any questions I had and keeping me updated on my case. Mr. Fillingim represented me in the worker’s compensation case against my employer and in a case against the owner of the home where I was shot. Mr. Fillingim went right to work began working on my cases and was able to settle both cases for a very substantial amount of money. I will definitely use Mr. Fillingim again for any of my legal needs and I will refer my family and friends to him as well.